Farmers may have to contribute toward their CAP entitlements if Brussels decides to force Ireland and other states to fill the EU budget shortfall arising out of the UKs withdrawal from the EU. 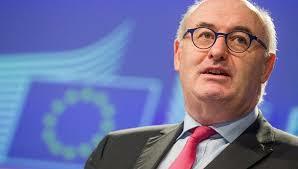 EU Agriculture Commissioner Phil Hogan has reportedly said the departure of Britain from the Union would leave a €12bn gap in the EU budgets. According to the Independent, he said that calls by some Member States to strengthen security, defence and migration spend could put increased pressure on CAP funds. The report quotes him as stating that “To fulfil a budget the EU would have to ask Member States to contribute more of gross national income from the current 1pc. Ireland is currently a net contributor to the EU Budget. In 2014 farmers and other Irish taxpayers handed over €168m more to the EU than the State received in grants and payments. Meanwhile, the Government has sparked fury after apparently voting to engage Ireland in a new European Army. However, there are indications that the Government could face a constitutional challenge over the involvement of the Irish people in the EU military alliance – the Permanent Structured Cooperation in Defence or PESCO. 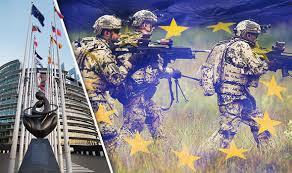 The plan for an EU army is provided for in Article 42.6 of the Treaty on the European Union which was carried into effect by the Treaty of Lisbon on which the Irish electorate was forced to vote twice. The Treaty initially was rejected mostly out of fear it would pave the way for ‘neutral’ Ireland to be forced to participate in an EU military force of the kind to which it’s believed the cabinet has now given the green light and conscription. Some 56% of women voted against the Lisbon first time round. Richard Boyd Barrett of People Before Profit/Solidarity has accused the Government of “pulling a fast one” and warned that the opposition might challenge the move on constitutional grounds. Independents 4 Change TD Mick Wallace said if Ireland joins the EU military force it will be the final nail in the coffin of Irish neutrality.